One way to experience nature up close and personal in Fort Lauderdale is with an airboat ride tour through the Everglades. The Everglades is a diverse environment where many local fauna and flora that thrive. Depending on the length of the tour, you’re bound to experience something remarkable. Airboat Rides Fort Lauderdale offers both one and two hour trips, both of which are two uniquely different experiences. 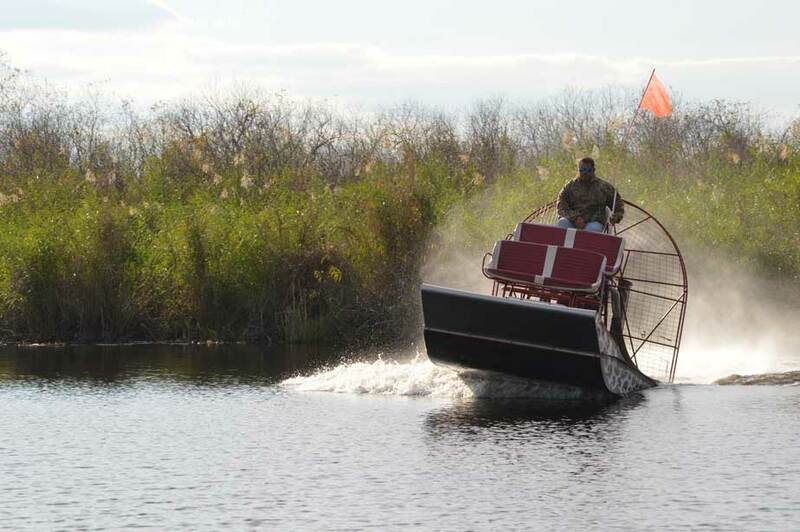 For those looking for the thrill of gliding along in a high-speed airboat, the one-hour tours keep the pace up with a 600 horsepower aluminum airboat. There are no stops during this ride and we try to stay on the outskirts of the Everglades. Passengers will get less exposure to the wildlife, but there is also less chance of harming the ecosystem at the high speeds we go to during this brief yet exciting ride. The two-hour tour goes much deeper into the Everglades. During this tour, we take multiple stops to give riders the opportunity to watch and photograph wildlife in the area. You’re sure to spot some as well as hundreds of species of different birds while on an airboat tour. There are narrations to identify the different species of the area and point out specific details potentially missed by those unfamiliar with the Everglades. Most of our customers prefer this option since it is great for groups looking to enjoy the Everglades, but not overindulge themselves. Our airboat will go far slower and take several stops compared to the one hour trip to allow riders to enjoy the scenic view. The Everglades is home to a diverse range of plant and animal species. As one of the largest wetlands in the world, there are 350 thriving species of birds and the most American alligators anywhere. There are also bobcats and deer which can be seen living on the land. All animals are completely wild so it’s incredibly vital to stay within the airboat at all times. We can’t guarantee we will see them, but we know where to find them and will do our best to show off the ecosystem during our longer tours. The best time to visit the Everglades is during winter. This is when mosquitoes aren’t a problem and the constant exposure to the sun is less intense. The ride can provide a nice breeze during the heat of Summer. We never put the safety of our captains or passengers, which is why we will monitor weather forecasts and reschedule or refund if there is a storm coming on the day your trip is booked. All of our tours cover the base cost of two passengers, but bring the whole family along for a great time. Everglades airboat rides can be a fun way to learn about the natural history of Florida first-hand. Call Airboat Rides Fort Lauderdale now at (954) 338-4890 to reserve an airboat ride today!